April 21st was Captain Eduardo’s turn with The Outdoors Show team. Once again Kevin and Carrie Faver, Mike, Craig and Manuel were along for the cruise. They warmed up by catching a 15lbs. 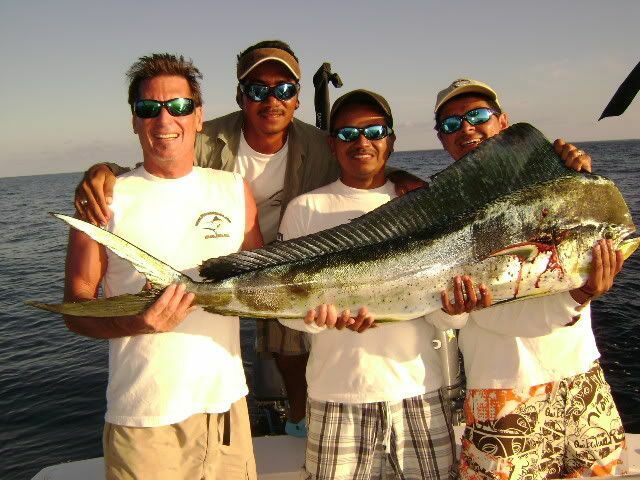 dorado and a 35lbs. yellow tuna. The big hit came in the form of this strong-fighting 120lbs. 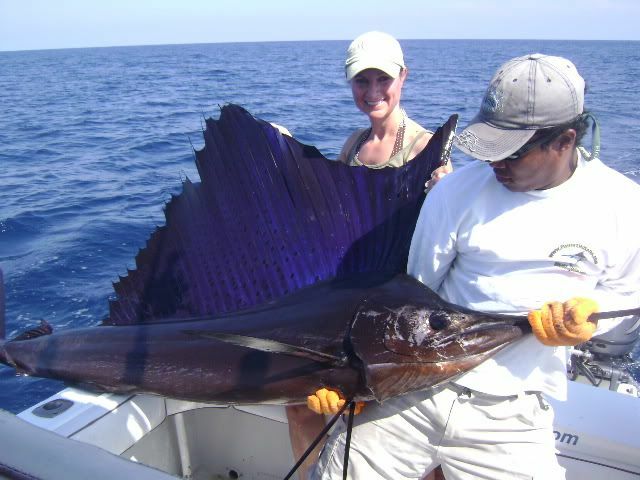 sailfish. Around 2:00pm they headed out for deeper water. They trolled around for less than a hour before a magnificent 400lbs. 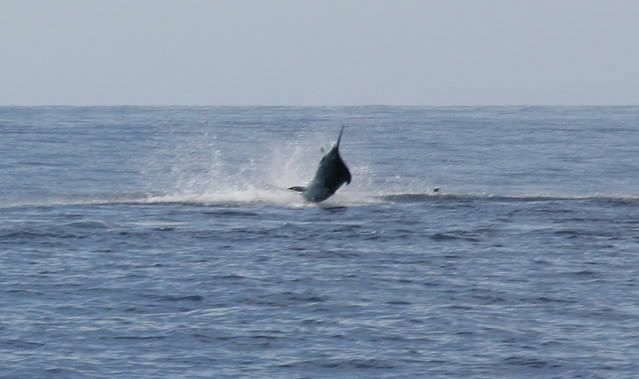 black marlin hit the spread. Craig hooked it, then Kevin Faver fought the great fish for 40 minutes, highlighted by a 35 second stretch of above-water motion. 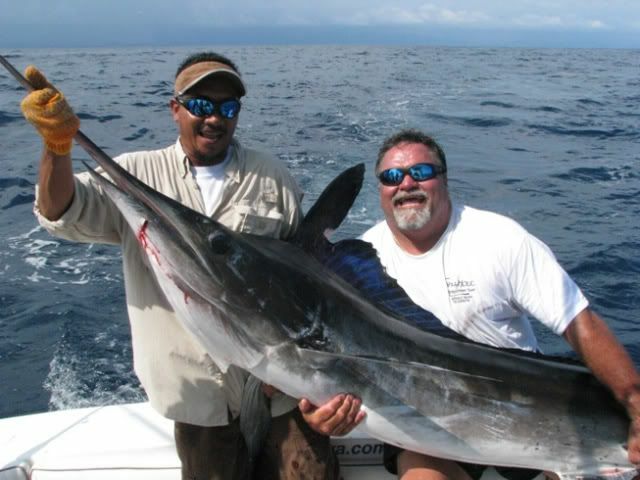 After a grueling fight, and a long week of fishing, Mr. Faver had caught himself a big-time Costa Rican black marlin! We want to acknowledge all of our sponsored anglers who are currently gearing up for the tournament season. 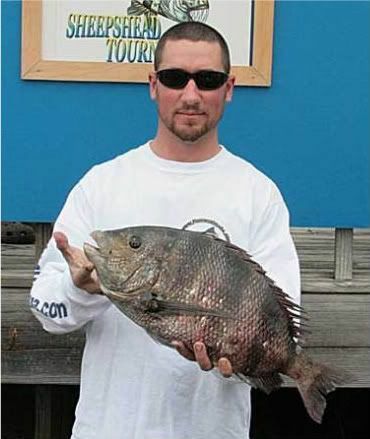 Pictured here is Captain Charlie of the boat Fished Out and one of his nicer catches from the 9th Annual El Cheapo Sheephead Tournament in Jacksonville, FL. Mark Gombert caught a 10lbs. jack and got hooks into two 120lbs. sailfish on a sunset cruise. Those fish were lost, but the day provided vital experience; the following day Mr. Gombert and his party finally boated a 130lbs. 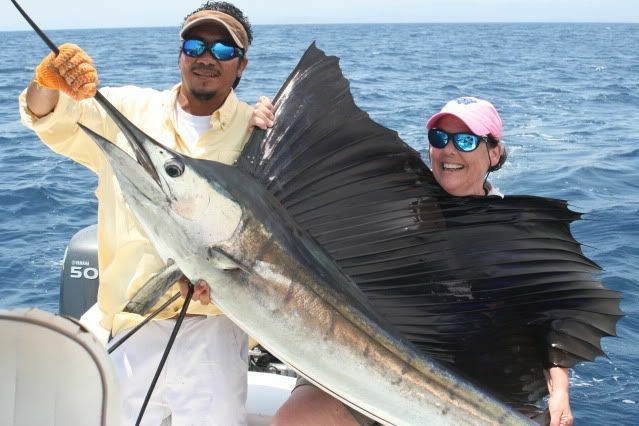 sailfish and a massive dorado. On Februrary 1st, Captain Carlos took Javier (our office manager), Manuel (our concierge), and me on the Reel Deal where we raised three Black Marlins, burying hooks in two of them. One of the Blacks looked to be in the 800-1000lbs. range! Seriously…follow this link and take a look at the new video for a taste of the action. We finished off the day with a pair of 35lbs. 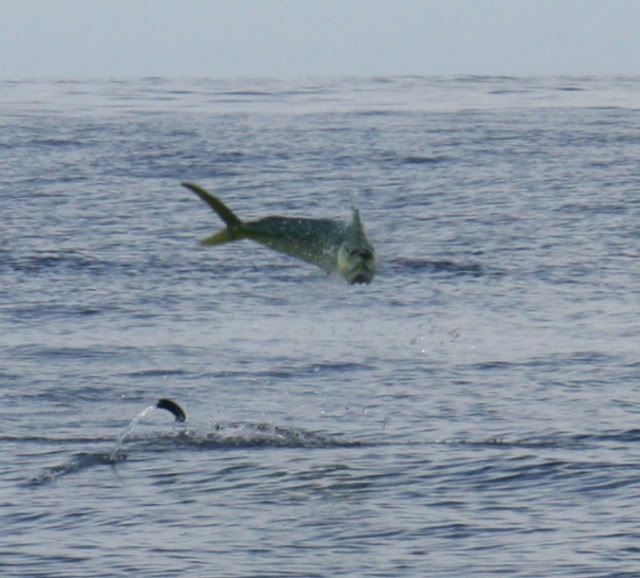 Dorado. Great job by the whole team! 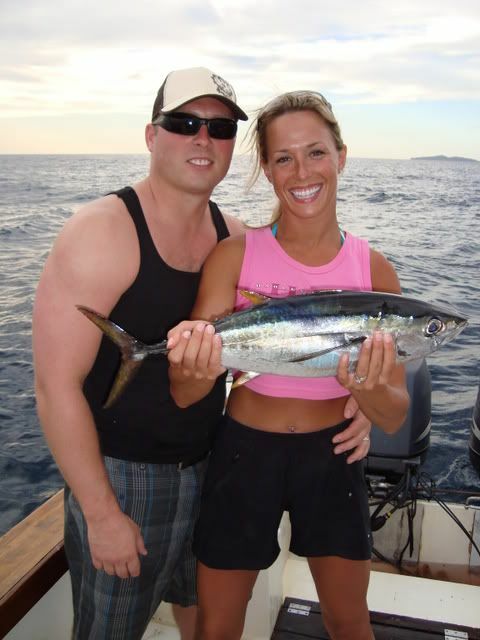 On January 15th Nathan’s half-day charter on the Cabo hooked up four Bonita, one Yellow-Fin Tuna, and a 15lbs. Jack. Nice work by Captain Vibert and the Cabo!